Architecture is the design of buildings and other structures. In the broadest sense, this includes the whole of our built environment, from urban design, landscape architecture and building design down to architectural features such as doorways and street furniture. Many elements of the architectural heritage of Laois are included in the Record of Protected Structures detailed in the Laois County Development Plan. Several buildings of architectural and historic importance are owned by Laois County Council. Programmes to conserve and revitalise many of these buildings, including Donaghmore Workhouse, have been completed or are underway. Sites such as Emo Court, Heywood Gardens, the Rock of Dunamase and Timahoe Round Tower are owned by the State and managed by the Office of Public Works. 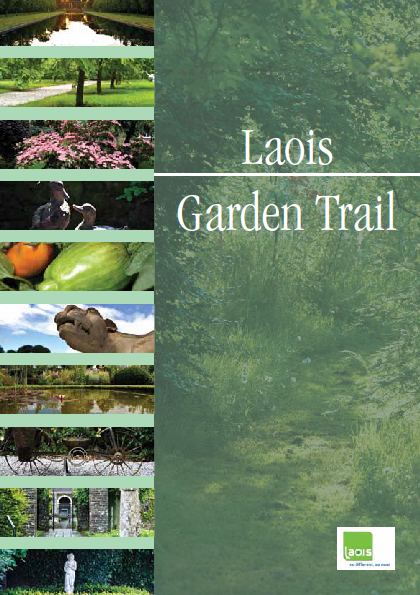 The garden heritage of County Laois is also described in a booklet, available to download below or by contacting the Laois Heritage Office. The Historic Environment Viewer is a new on-line digital service provided by the Department of Arts, Heritage, Rural, Regional and Gaeltacht Affairs. It has been developed to help people to access data on archaeology (National Monuments Service) and architecture (National Inventory of Architectural Heritage), using a “one-stop shop” website to access built heritage data resources. The viewer can be accessed on most browsers and platforms, including smart phones.